We will prepare all students for success in an ever-changing global society by providing a technology-infused environment that enhances thinking skills and encourages life-long learning. Jacksonville ISD has many devices that are used for instructional and administrative purposes in the PK-12 program. 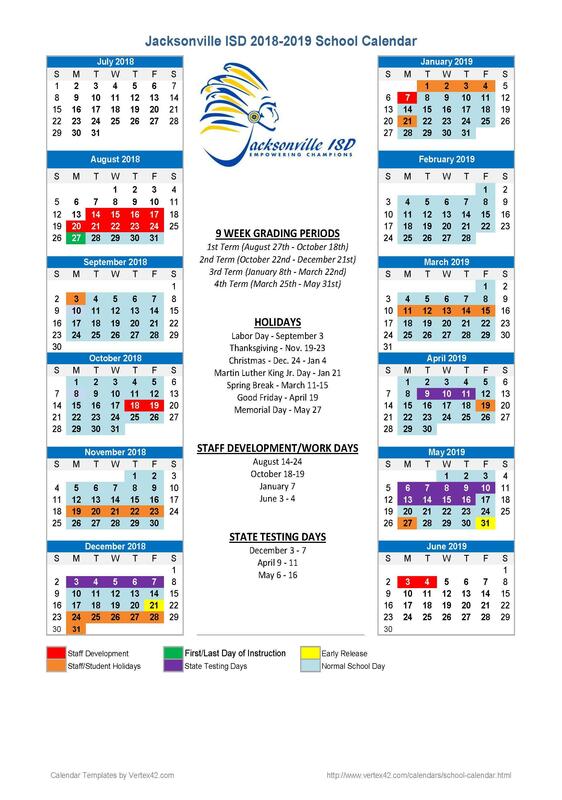 The Jacksonville ISD Board of Trustees has exhibited their commitment to technology in each year’s budget. They specifically budgeted funds in the 2000-2001 school year to establish a powerful infrastructure allowing rapid access to multiple services from every device in the district. In 2015 the board continued their support for technology by funding a district wide wireless project. They have empowered students, teachers, and staff to be leaders in effecting change. Jacksonville ISD’s wide area network consists of a gigabit backbone between 13 locations. Every location in the district is connected to the central site via fiber optics. This type of network offers many opportunities for using and sharing information within the district as well as the community. We strive to provide an infrastructure for communication with parents and community members, including year-round access to school news, educational resources, data and personnel. Daily operations are conducted across the network including Business Services, Special Education Services, Food Service, Student Information Management, Time management, Heating and Air management, Remote Technical Assistance, Video Surveillance, Telephone Services, and Library and Textbook services. The district is dedicated to improving academic achievement by infusing technology into teaching and learning in all areas. The Instructional Technology Department in the district provides opportunities, incentives, and support for educators to develop model practices in the integration of teaching, learning, and technology. Jacksonville ISD "Empowers Technology Champions".